Our education system has come a long way. The focus of education today is not just learning, but holistic development of the child. 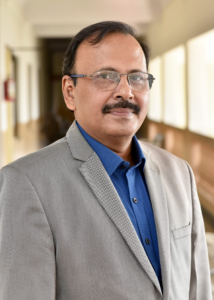 In order to match with the global industry standards, education sectors are now incorporating big data analytics, writes Dr Amit K Sinha, Director, Kirloskar Institute of Advanced Management Studies, Pune, for Elets News Network (ENN). Big data is one of the technologies which are helping the education sector in improving the performance of students and quality of education. Big data offers unprecedented opportunities to the education sector. Today, the student has access to farfetched data and resources which was impossible a couple of decades back. Everyone is talking about big data and how it is revolutionising every sector. But what is Big Data? Big data is basically the study and implementation of large amounts of complex data — both structured and unstructured, that otherwise are not easy to be processed by regular data processing software. This helps a business on a day to day basis. It’s not the bulk of data which is important but how well the data can be analysed for insights. These insights help people make better decision making and strategic planning. A report suggests that big data market is expected to reach US$67 billion by 2021. Hence, big data is counted as a disruptive technology but for all the positive reasons. It is not just the data that is important, one has to know how to read that data to gain insights. Big data can help reduce costs, determine root cause for failure, calculate risks and optimise offerings. Big data is important in the education sector as it opens an arena of opportunities for both the educationists and the students. Educators can use this data along with analytics tool in order to build that ultimate personalisation for each student. This personalisation assists each student to develop according to their style of learning and understanding. Adoption of artificial intelligence: It is a known phenomenon that studying from textbooks everyday becomes a monotonous activity. Students prefer studying in their comfort zone. Today artificial intelligence can be used to write textbooks! With the help of a professor, who can provide his inputs in the syllabus, the computer system can collect the proper information from various resources to create custom based textbook and this is as impactful as taking up the teacher’s class. Improve student results: One can use big data to monitor a student’s performance and work on the development of the candidate. For example, how much time does he takes in answering each question, which questions does he skip, which questions does he answer well to, which sources does he study from, is there a particular pattern when it comes to not answering some questions. These data provide a unique data trail. Studying and analysing this data in real time will help the faculty provide better feedback to the students, and help them provide an optimal learning environment for each student. Create mass customised programs: Big data allows customising programs in higher education with the help of blended learning — a combination of online and offline learning. There are specialised algorithms which track and access each student’s performance and interests. Through this, the student can study at his pace and develop his personalised program. Reduce dropouts: Educational institutes can use predictive analytics to collect information on the future expectations of number of students.Such predictions are used to do scenario analysis to check the possibility of running a new course and adding in to the curriculum. Each year the students show a particular pattern during admissions. If this pattern is studied, then colleges can work in reducing dropouts as well as improving their course pedagogy to fit in with the current student batch. Targeted recruiting: Educational institutes can accurately predict applicants’ performance in companies and also help analyse their application process. There are various factors associated with this recruitment process. The studying of this data will help college better their recruitment strategies and help them allocate funds accordingly. Use of big data in sports: In this highly competitive world, where coaches aim for their students to reach Olympics, big data comes to the rescue. Instead of relying on an intuition, coaches today are collecting insights by tracking the student’s performance in a sport. For example, this data can show the speed of a person in a given time and his strengths and weaknesses in each sport. Coaches can then focus on the player’s strength and help improve his weaker points. This data can also show the fatigue or hydration level of each player. Today with the use of artificial intelligence and big data, the focus of learning has become more efficient. The future generations of students are expected to benefit from this technology in the coming years.